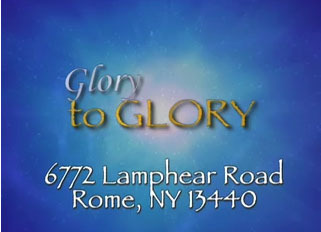 The New Testament Church is blessed to have a unique television ministry named "Glory to Glory" which airs on WUTR-TV Sundays at 11am. WUTR can be received off-air on digital channel 20.1, Channel 11 on Rome Cable and Channel 7 on Utica Cable. If you have any questions or comments about "Glory to Glory" please contact Walt or Kim Morrissey.